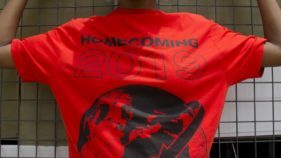 Ahead of this year’s edition of the MTV EMAs billed for November 4, at the Bilbao Exhibition Centre, Barakaldo, Biscay, Spain, organisers have finally unveiled list of nominees for the award, including six top acts from the African continent; Davido (Nigeria), Tiwa Savage (Nigeria), Distruction Boyz (South Africa), Fally Ipupa (Drc), Nyashinski (Kenya) And Shekina H (South Africa). One winner will bring this category’s prestigious awards home from the ceremony, which will broadcast at 9:00pm CAT on MTV (DStv channel 130). The broadcast from MTV’s global network of channels in more than 180 countries and territories, reaches more than half a billion households around the world. Meanwhile, internationally, Camila Cabello leads the nominations snagging six nods including Best Song and Best Video for her chart-topping hit Havana featuring Young Thug, as well as Best Artist alongside Ariana Grande and Post Malone, who follow Cabello with five nods each. Drake and Dua Lipa also join the above contenders for Best Artist, scoring four nods each alongside Shawn Mendes, including Best Local Act for all three of their respective home countries. MTV creatively teased the nominees via a series of captivating Autonomous Sensory Meridian Response (ASMR) videos, with visuals involving floral foam smashing, paint mixing and kinetic sand slicing for the Best Artist, Best Song and Best Video categories. The mesmerizing video reveals were broadcast across MTV’s global digital platforms and a coalition of media partners. Official sponsored by SKYY Vodka, voting for the EMAs is now open at mtvema.com until November 3, at 11:59pm CAT. Born November 21, 1992, David Adedeji Adeleke better known by his stage name Davido is a Nigerian singer, songwriter and record producer. His 2011 single Dami Duro was well received throughout Nigeria. Along with his elder brother Adewale Adeleke, he is the co-owner of HKN Music, a record label home to Sina Rambo, B. Red and DeeKay. He has produced songs for Naeto C, Skales, Tiwa Savage and Sauce Kid. In April 2012, he signed an endorsement deal with MTN Nigeria and by October 23, 2013, Davido partnered with Guinness Nigeria for the Guinness World of More concert.His debut album Omo Baba Olowo, released in 2012, was initiated by the bringing out of singles Back When featuring Naeto C, Dami Duro, All of You, Overseas featuring Sina Rambo, Ekuro, Gbon Gbon and Feel Alright featuring Ice Prince. Between 2013 and 2015, Davido released the singles Gobe, One of a Kind, Skelewu, Aye, Tchelete (Goodlife) featuring Mafikizolo, Naughty featuring DJ Arafat, Owo Ni Koko, The Sound and The Money featuring Olamide. The aforementioned singles were reportedly intended to be singles off the album, The Baddest. In January 2016, Davido announced via Twitter that he signed a record deal with Sony Music. His announcement was met with mixed reactions, though the record label put out a press release to confirm the deal. Davido started his own label, Davido Music Worldwide (DMW), few months after signing with Sony. Dremo and Mayorkun are currently signed to the label. In July 2016, Davido signed a record deal with Sony’s RCA Records. Tiwatope Savage, otherwise known as Tiwa Savage, is a top Nigerian singer, who was born on February 5, 1980 in Ikeja, Lagos. When she was 11 years old, Tiwa’s parents had to relocate to London and she went along with them. She also lived in the United States of America at some point.While she was in the High School, she was a very active member of the school’s Orchestra band, where she played the Trombone. Upon completion of her high school education, Tiwa proceeded to the University of Kent where she studied Business Administration. Though she didn’t start singing in Nigeria until around 2010, this black beauty is by no means a fresh face in the world of professional music. Professional music started for Tiwa Savage at the young age of 16 when she did back-up vocals for a number of artistes, including Kelly Clarkson, Mary J. Blige, Andrea Bucelli, George Michel, Blu Chantell and Chaka Chan. She participated in the X Faxtor, UK in 2006 and made it to the final 24 before she was disappointingly dropped. 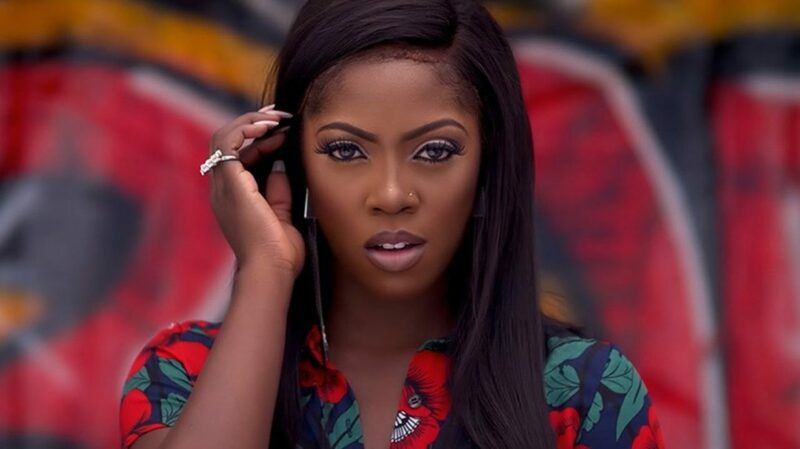 Apart from being a great vocalist, Tiwa Savage is also a very good songwriter, having written songs for several A-list artistes including Kat De Luna, Fantasia Barrino, Mya, Jacko and Monica. She also performed background vocals for Whitney Houston’s 2009 album, I Look to You.She entered the Nigerian entertainment scene with her hit single Kele Kele’ love, which became an instant chart topper. She immediately followed with another hit single Love me and since then, it has been back-to-back hits from the pretty singer. Tiwa is also known for her various collaborations with several top Nigerian artistes. She has a unique way of bringing her unique voice and style into a music to make it an instant hit, a quality that has helped to make her one of the top choices for artistes who need remixes and collaborations.She has collaborated with several local and international stars including Patoranking, Flavor N’abania, Waje and several others. She is signed to Don Jazzy’s Mavin Records and also has her own entertainment Company, 323 entertainments. She has also signed endorsement deals with various companies, including Pepsi, Forte Oil, MTN and Maggi. She is also involved in several humanitarian and youth empowerment works. On his part, Fally Ipupa is a Congolese-born artiste rocked by music from an early age. Indeed, his family being a practicing Catholic, it’s within a religious choir that he cut his lines and was introduced to singing.His honeyed voice opens the doors of all the groups in his neighborhood and in the Congolese capital. In the late 90s, he was noticed by Koffi Olomide (note: singing star in Congo) and integrates the orchestra Latin Quarter. Fally immediately finds its place, becoming a pillar of the group and eventually started a solo career. In 2011, he was crowned Best French Artist at the MTV Africa Music Awards and is nomminé the BET Music Awards in 2012. Will follow up in 2013 with a reward at Trace Music Awards. Distruction Boyz is a Gqom music duo from Durban, South Africa, which consists of recording cakes and record producers Thobani “Que” Mgobhozi and Zipho “Goldmax” Mthembu. Their Debut album Gqom Is the Future was certified gold by RISA making it the first Gqom album to ever achieve this status. Goldmax and Que were born in KwaMashu, the second biggest township in Durban. The two members established themselves by jamming to their very own gqom and house sets at local taverns and shisa nyama’s in and around KwaMashu. Having ran into each other a lot and appreciated each other’s style of play and leisure flare at these kinds of local gigs, they in the future decided to merge their ability and ear to form the group we today know as Distruction Boyz. The group released its breakout single titled Omunye, which features Benny Maverick and Dladla Mshunqisi; the song was certified gold by the RISA. Nyashinski whose real name is Nyamari Ongegu is a kenyan musician, who is a former member of Kleptomaniacs. Kleptomaniax was a music group consisting of three members: Roba (Robert Manyasa), Collo (Collins Majale) and Nyashinski (Nyamari Ongegu). Kleptomaniax were formed in 1999, when they were still high school students at the Nairobi School. The group joined the Ogopa DJ’s label and released their first single, Freak It in 2002 and was followed by Maniax Anthem and Haree. They were picked by Ogopa DJ’s while still in school.In 2004 the group released another single Tuendelee, which became their biggest hit so far. The song was written as a response for the Diss track by various hip-hop musician (including Bamboo), who criticised the commercial Kapuka music style performed by Kleptomaniax among others. Their debut album M4E (an abbreviation for Maniax Forever) was released in 2005. After 2007 the group had a break while their members engaged in solo projects. The group has since made comeback, but have left Ogopa DJ’s.After ten years, he came back with a major hit song Now You Know. He also did a gospel song Mungu Pekee, which is a hit song. He collaborated with Trey songz in the coke studios. Shekhinah Donnell born Shekhinah Thandi Donnell and popularly known as simply Shekhinah is a South African Pop/R&B vocalist and songwriter. Shekinah was born on October 2, 1994, in Durban, South Africa. She is popularly known for her hit song Let You Know.After singing and performing for many years throughout her childhood and early teens, the young artist landed her first major gig competing in South Africa’s seventh Season of the hit television show, Idols, where she made Top 32. After being eliminated from the competition, Shekhinah proceeded to enter the competition in its 8th season where she landed in the Top 6 of the overall competition. Ever since then she has been establishing herself as an artist on a national scale by performing at a variety of corporate functions, government events and public events.After idols she went back to school and passed her matric exams. After matriculating she released her hit single Take It Back. She recently completed a Music Performance Degree at AFDA (The South African School of Motion Picture Medium and Live Performance). She now has two number 1 hit singles under her belt – namely Back to the Beach featuring Kyle Deutsch and Let You Know with Sketchy Bongo, which is now signed under international record label Ultra Records. In 2016 she also featured on the Black Coffee single, Your Eyes, and the Jesse Clegg single Breathing. During 2016 her hit song Back to the Beach was nominated for a Metro Music Award (MMA) and a South Africa Music Award (SAMA), but in October, she won her first MTV Africa Music Award (MAMA). Meanwhile, she was actually abandoned at birth by her biological parents and was adopted by the Donnell family. She says that she is very close to her adoptive father, Phil Donnel and has always been there for her and believed in her dream as a singer. Her adoptive mother lives in the USA and she says that she keeps in touch with her and visits her as often as she can.